This is Viktor Nadj, playing Prelude BVW 996 by J.S. Bach. 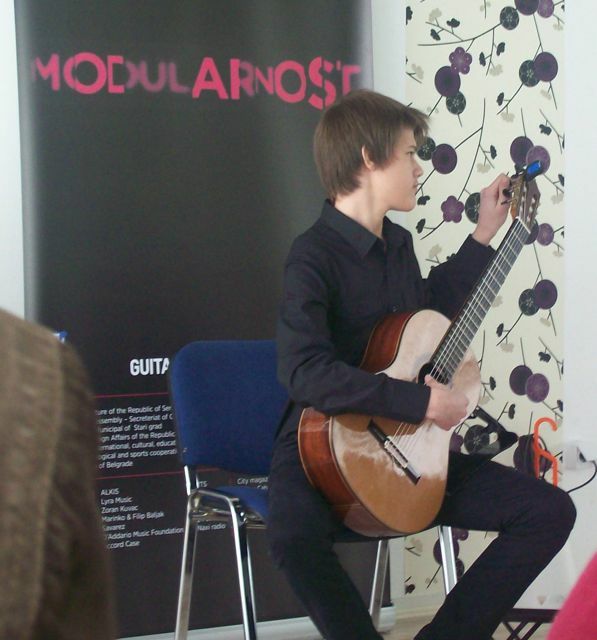 Viktor was born in 1999 and started to play the guitar at the age of seven. He completed Elementary Music School in Belgrade, in the class of professor Nenad Petrovic and is now studying with Aleksandar Hadzi Djordjevic at the Vatroslav Lisinski Music School in Belgrade. Despite his young age Viktor won 18 first prizes in music competitions. When you listen to his version of Bach’s Prelude, you understand why.